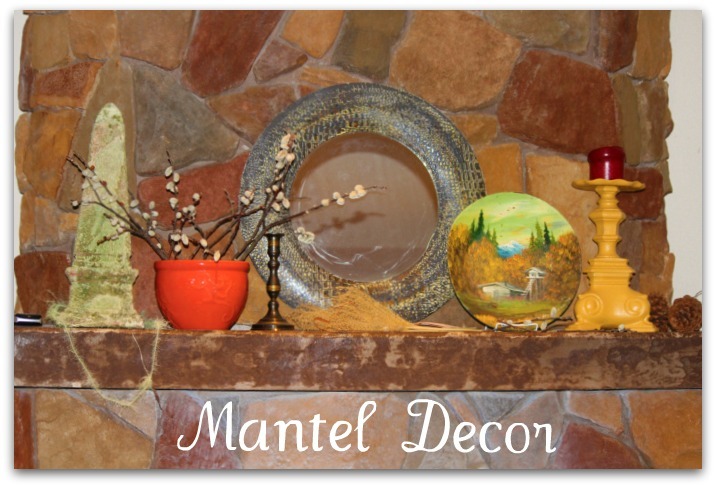 When decorating the interior or even the exterior of a cabin or lake home, certainly themes can come into play. I’ve seen it all from bear themes, to nautical and in between. 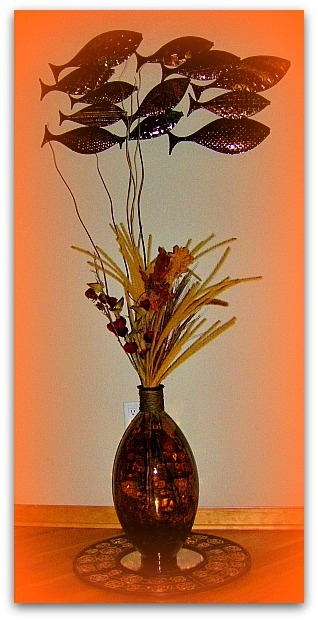 (I have talked about cabin decorating in other posts…check them out. Check here for Decorating a Cabin. and a lake theme intertwined with wood-hued tones and muted shades of leather or fabric as the backdrop. Accent pieces can be rugs, granite or some other stone, appliances, mantel décor, pillows and/or throws casually tossed over a couch, bed or the favorite reading chair. 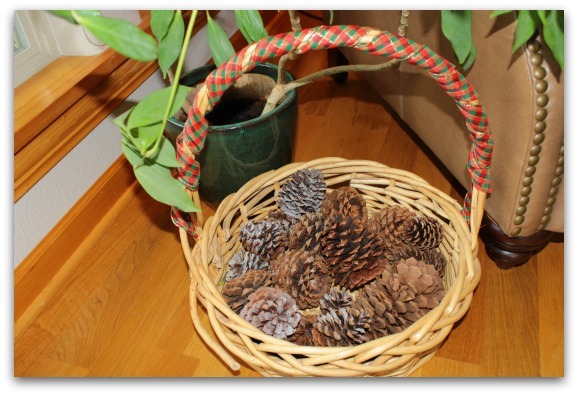 Some people stick with pinecones as a running theme throughout the interior from switch plates to baskets or bowls filled with ones the family have gathered. 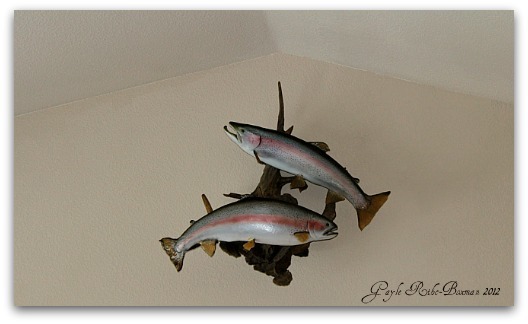 I’ve seen homes decorated with really cool old fishing tackle, and rustic antique cooking utensils. Mixing these things with the background of wood, leather or fur makes it really easy to go a variety of directions. If you’re going with a more rustic or traditional cabin look, you don’t want too much color as it makes it feel very contemporary or very artsy and it seems that the cabiny/lodge feel leans more towards earth tones with either whites, creams, greens, reds or yellows being accent colors. 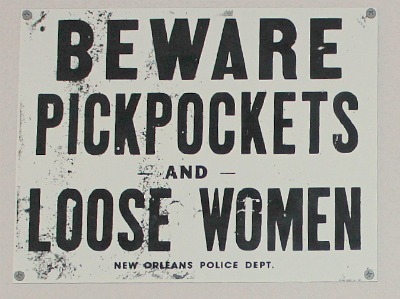 One of the things I notice that some “lake people” are really drawn to are signs of all kinds. 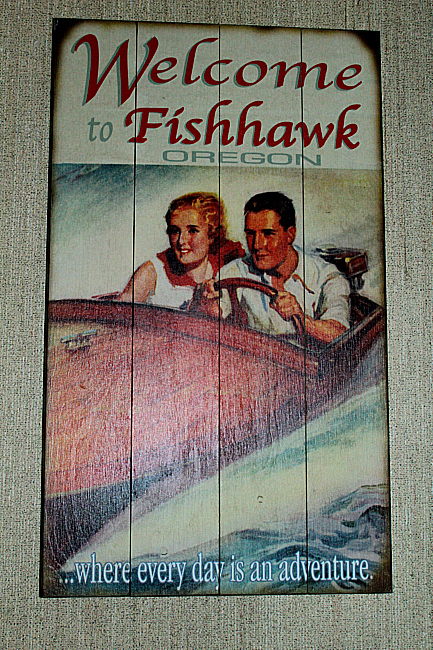 From lovely sayings written for wall hangings to linens, to frames that have things written on them, it can speak volumes to your neighbors and friends at Fishhawk Lake about your philosophy or just cause some laughter! (This was in one of my listings that I sold in 2011–the owner gave it to us as a gift for our new home, because he knew I loved it! I think it’s an original). 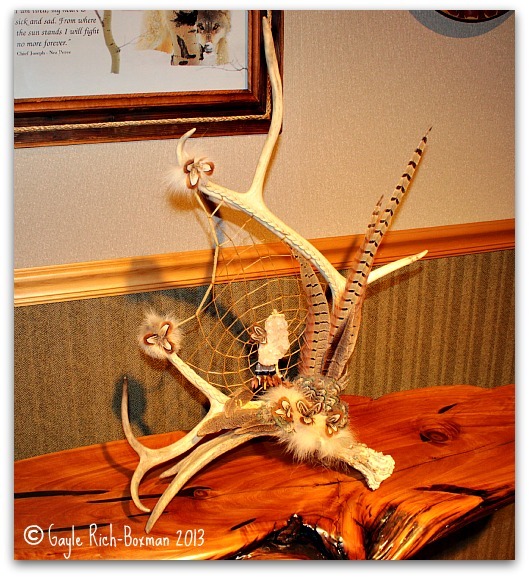 This entry was posted in Decorating a Cabin or Lakehome, Living on a Lake in the Country, Staging Your Home and tagged cabin decor, lakehome decorating, lodge decor, wildlife themes. Bookmark the permalink. Gayle – you most definitely have a gift for interior design and staging to sell! As you point out, it’s so important that a home reflect the area and architecture of your targeted audience as you’ve done here! No one knows how to sell homes faster and for more money in Fishhawk Lake then you! 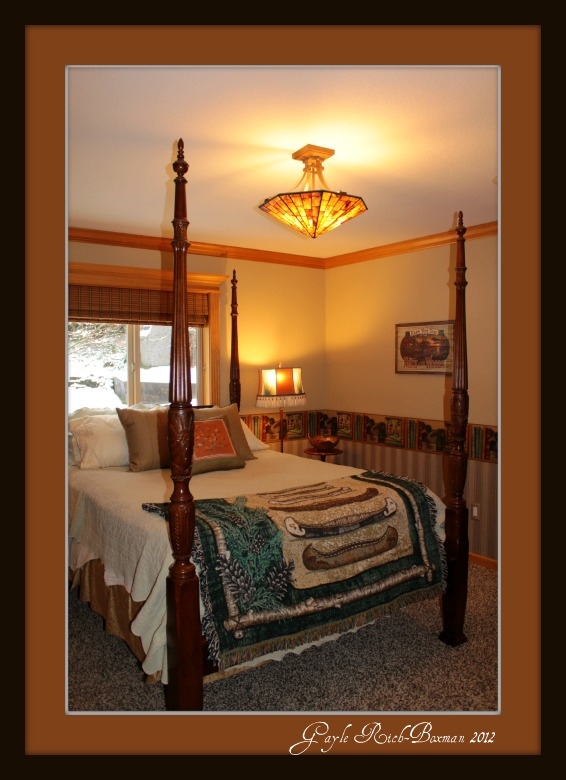 Gayle – this is a perfect example of staging a home for your targeted audience. You’ve taken into account the natural surrounding of Fishhawke Lake and architecture of the homes. I love the continuity of bringing nature indoors. 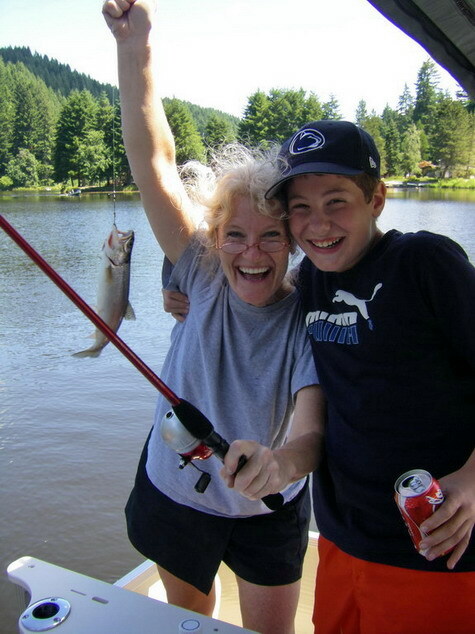 You demonstrate that Fishhawk Lake is a passionate, nature loving lifestyle, not just another place to live!